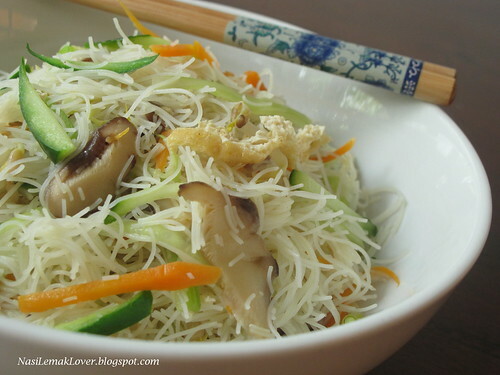 After a heavy dinner (eating few types of red meats) at my husband's friend house yesterday night, today I just like to cook something that plain and contain a lot of vegetable for lunch. I saw some fresh organic pumpkin on the shelves when i doing marketing the other day, quickly grap one to bake a butter cake that i bookmarked earlier. 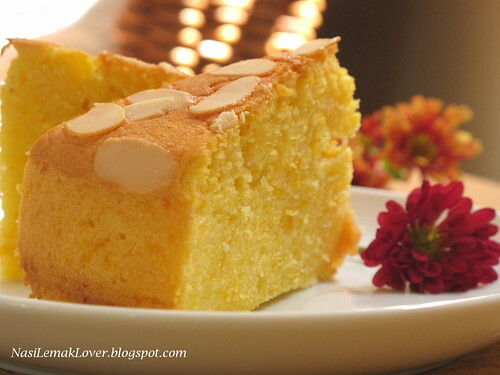 I can't resist to a good butter cake! 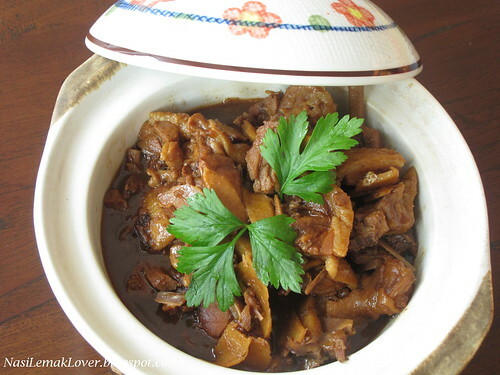 Today I going to share with you this dish that cook using a pressure cooker. My SIL Annie was so kind present me a set of WMF pressure cooker as a courage for me to cook more nice foods for my family in my new house. All this while, I'm hesitate to use a pressure cooker, but not for now, i just realized that this cooker is fast,efficient and it could retains vitamins and minerals and saves time too. My notebook was crashed last few days, sorry for not able to update my blog. One of my reader was asking me to provide the recipe of ice cream cookies, sorry for keep her waiting, here is the recipe. 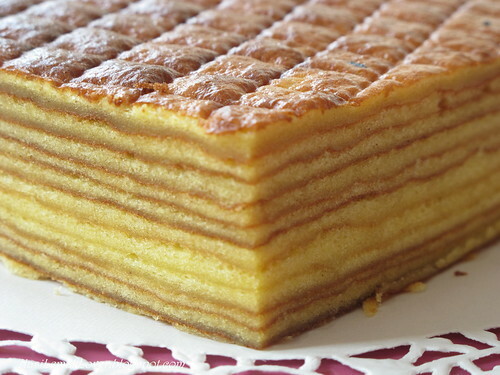 This was my 1st attempt baking a Kueh Lapis, it took me 2 hours to make this. I baked this cake is meant to pray for "Pai Tin Kong". Last year I did a tiger fondant cake. This is a type of CNY cookies that I wanted to try long time ago. 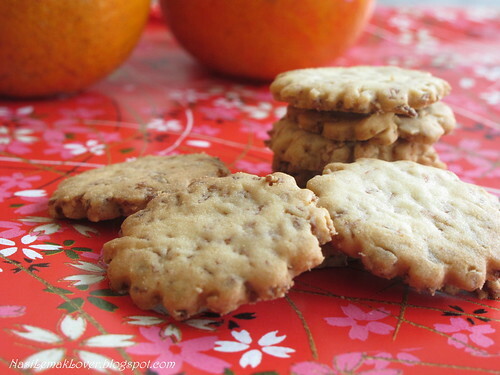 Since I was in the rush to make 2011 CNY cookie on the last minutes, this cookie is the best choice since it needs very simple ingredients and easy to make too. 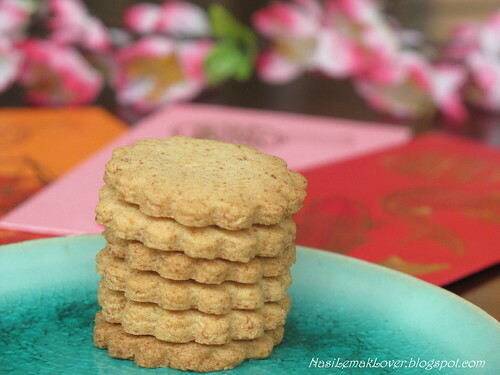 Before CNY is over, I have to post the only three cookies that i made this year, one of them is coconut cookies. This is my own creation by just mix and match, since the main ingredient is using Golden bake desiccated coconut (you can get it from bakery ingredients shop), so I would like to call this cookie as Golden coconut cookies. After several months of hectic schedule, moving house, school open, help my sister on her new house and her kids school transfer & etc, finally i able to spare some time to have a short update of my blog about Chinese New Year. I managed to bake 3 type of cookies on the last 2 days before CNY. 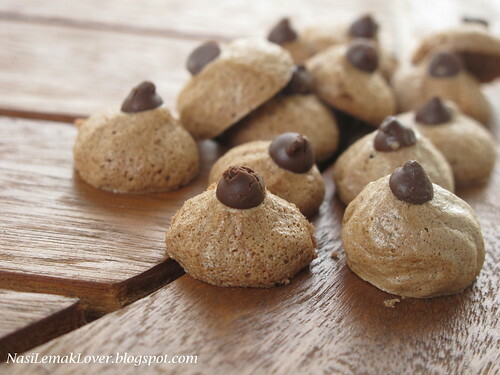 This is a type of cookie that I wanted to learn how to bake after i tried it at my brother-in-law house last CNY. After I failed to obtain the right recipe, I created myself this cookie. 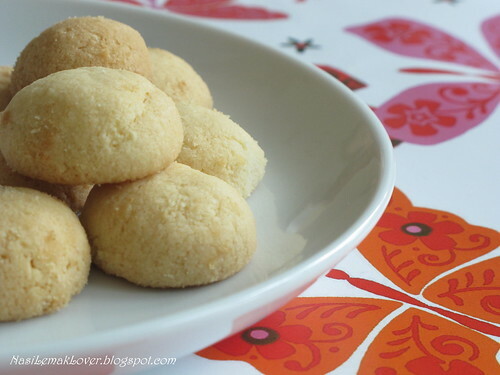 We love this cookie, cripsy and full of coconut aroma, will share the recipe later.